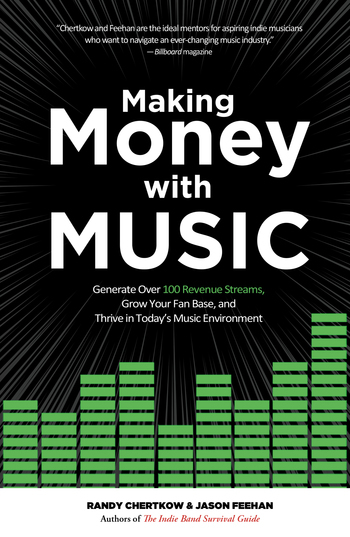 Written by the authors of the critically-acclaimed modern classic The Indie Band Survival Guide (1st & 2nd Editions), Making Money With Music is the third installment in The Indie Band Survival Guide series, and will help you build a sustainable music business no matter what kind of music you make, where you live, and whether you're a novice or professional musician. 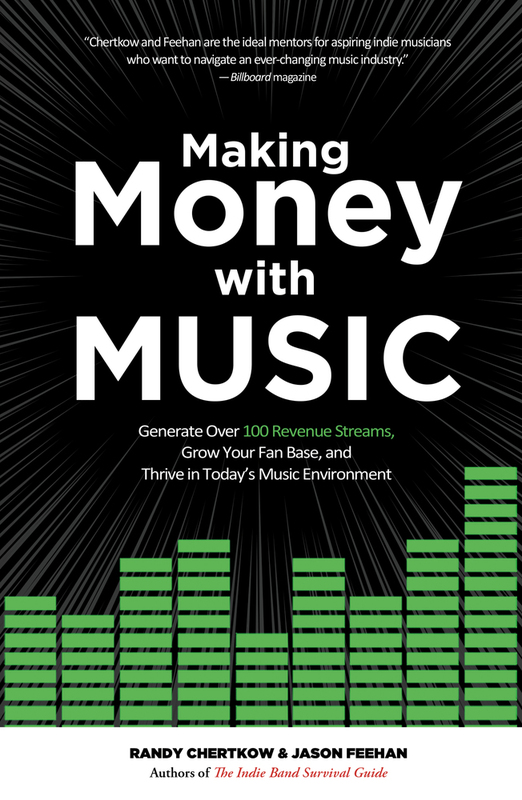 Improve your income by implementing these ideas for your music business today. "Adding to quite a body of work, Randy Chertkow and Jason Feehan create another essential guide book for your DIY career - they lay out all of the steps, details, places and ways to actually make money in this increasingly difficult business. Meticulous, detailed and highly recommended." —Martin Atkins, drummer for Public Image Ltd, Ministry, Nine Inch Nails, Pigface, and Killing Joke and author of Tour: Smart and Band: Smart. Billboard Magazine have called Randy Chertkow and Jason Feehan “the ideal mentors for aspiring indie musicians who want to navigate an ever-changing music industry.” Together, they’re musicians that are working on their 21st album, authors of The Indie Band Survival Guide: The Complete Manual For The Do-It-Yourself Musician, creators of the 15-hour online course, Making Money With Music (CreativeLive), and regular contributors to Electronic Musician Magazine, including the free weekly web column, The DIY Advisor. They also teach and consult about music business. Their band, Beatnik Turtle, is a horn-powered pop-rock band based in Chicago. They have recorded 20 albums, released over 500 songs, and successfully completed a song-of-the-day project where they released one song for every day of 2007. They’ve written music for TV, commercials, films, podcasts, theater (including Chicago’s world-famous Second City), and have licensed music to Disney/ABC Family and Viacom.